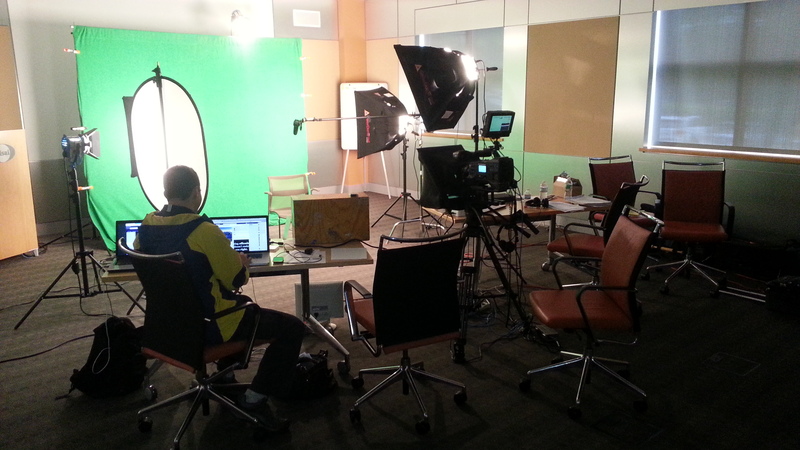 Our portable green screen set-up means that we aren't confined to the studio. Also known as a chroma key, green screen offers a lot of flexibility with visuals and budget. 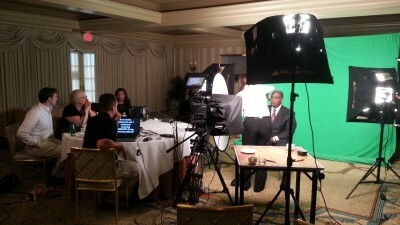 We utilize large sections of green screen fabric that can be taken with us or shipped to any location. Consider using location imagery, graphics, products, charts, or video for backgrounds. These are just some examples of what can be placed behind your talent. The great thing is, you don't have to decide what you want to place in with the talent. This can be updated or removed at any point during the editing process. Did sales numbers increase? Did the representation on the chart change? New corporate logo? No problem. 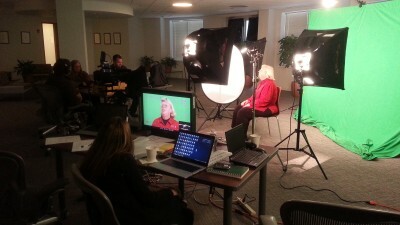 We also offer our portable green screen backdrop for rental.